You are here: Home / Owner’s Manual / Compliance / Are You Ready for OSHA’s New Recordkeeping and Reporting Rule? On November 1, 2016, OSHA will begin enforcing the Recordkeeping and Reporting Rule that was first introduced last May. While most small-to-medium sized companies don’t have much to worry about (yet) as far as recordkeeping and reporting changes, there is a portion of the new rule that affects ALL employers. In the preamble to the new rule, OSHA made some comments that directly affect a company’s ability to conduct post-accident drug tests as well as the way employers incentivize their employees for working safely. To be clear, after November 1, employers must have a reasonable expectation that illegal drugs or alcohol played a part in a workplace injury incident before the injured worker can be drug tested. OSHA fears that “blanket” drug testing of all workers who are injured and seek medical treatment could lead to claims of retaliation against the employee on the part of the employer. In the eyes of OSHA, “blanket” drug testing of workplace injury victims could create situations that would keep employees from reporting a workplace injury. Other language in the preamble states that post-accident drug tests must determine whether or not the employee was impaired as a result of drug/alcohol use. In other words, the mere presence of illegal or illegally prescribed drugs or alcohol at current minimum detectable levels would not automatically mean that an employee was impaired to a point that would cause the accident. This flies in the face of current state rules – like that in Texas – where a positive post-accident drug screen is viewed as a causative factor in the injury. As for employer Safety Incentive Programs, OSHA states that withholding a safety incentive award from an employee just because the employee reported a workplace injury incident could be viewed as retaliation against the worker on the part of the employer. Again in the eyes of OSHA, such action on the part of the employer could cause employees not to report workplace injury incidents. Lastly, the “anti-retaliation” portions of the new recordkeeping rule require that all employees be trained concerning their right to report a workplace injury without fear of retaliation by their employer. As with all things OSHA, the training must be documented to prove it was done prior to November 1. Since May, the Safety Team at Employers Resource has been working with all our clients to alert them to the implications of the new rules. We have supplied new drug/alcohol policies and guidelines for safety incentive programs that meet the requirements of the new rule. If you are a client of Employers Resource and you have any questions regarding the new rule and how it affects your company, please contact your assigned Safety Manager for assistance. 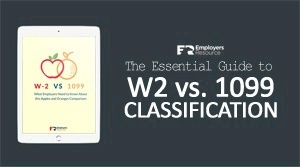 https://www.employersresource.com/wp-content/uploads/2016/10/Are-you-ready-for-osha’s-new-recordkeeping-and-reporting-rule.png 300 775 Eric Mann https://www.employersresource.com/wp-content/uploads/2016/07/employers-resource-national-PEO-strength-local-service.png Eric Mann2016-10-11 07:00:072016-10-05 13:48:53Are You Ready for OSHA’s New Recordkeeping and Reporting Rule?